Are you a professional or a beginner sewer looking for the best sewing machine for yourself? Well, that is a very difficult decision to make. 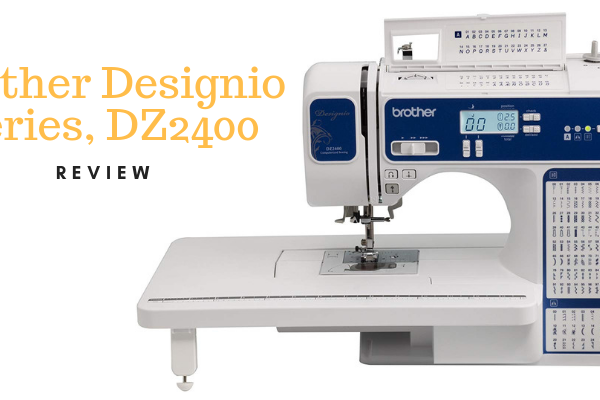 The market is packed with endless sewing machines that offer a wide range of features and functions.one of these products is the Brother Designio Series, DZ2400. Brother is a renowned sewing machine manufacturer. It has launched a variety of versatile products that are highly efficient and reliable. In this article, we will see if the DZ2400 is also as good as the other products by Brother and its competitors. Let’s take a look at some features and specifications of the sewing machine. 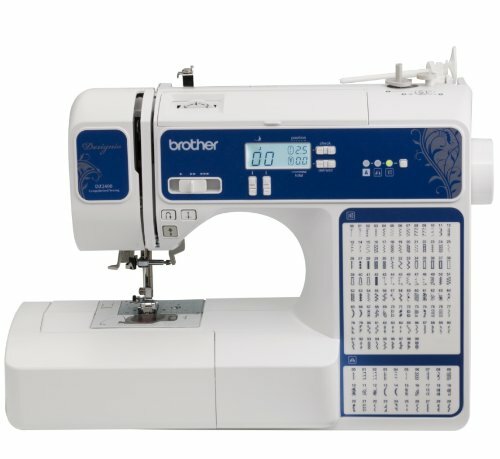 The Brother Designio Series DZ2400 is a computerized sewing and quilting machine. The main difference between a traditional and a computerized machine is the efficiency and speed. Computerized sewing machines are supposed to sew much faster and better. They also have wider options for the sewer and are flexible. This sewing machine by Brother, for example, has 185 built-in stitches. We will talk about the further specifications of the machine later. When you think of buying a sewing machine and adding it to your sewing collection, the look of the machine matters. 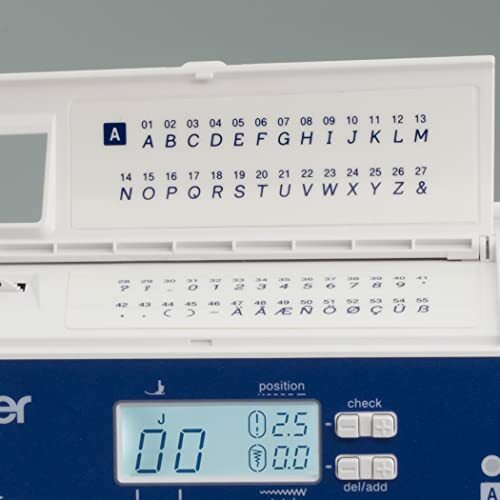 The Brother DZ2400 has a white and blue color combination. The front panel also has a unique design printed on it. The attractive and colorful appearance of the machine makes the machine outstanding in the market. Moreover, a stitch chart is placed right on the front panel for your ease. You can use the stitch chart to easily recall and choose the stitch you want to use. There is a small backlit LCD screen on the top. The screen displays information regarding stitch selection and stitch speed. The LCD can be easily viewed even in low lights. Furthermore, the workspace is illuminated with a bright LED light. This will aid you in stitches and sewing accurately even if the lighting around you is dim. There is also an easily accessible speed control sliding lever on the front. Want to work on larger fabrics? This machine is the one for you! It comes with an extendable table that increases the size of the workspace. Now you can easily quilt and stitch larger fabrics without having to worry about the mess and inconvenience. One great thing about computerized sewing machines is that they are extremely flexible and allows customization. 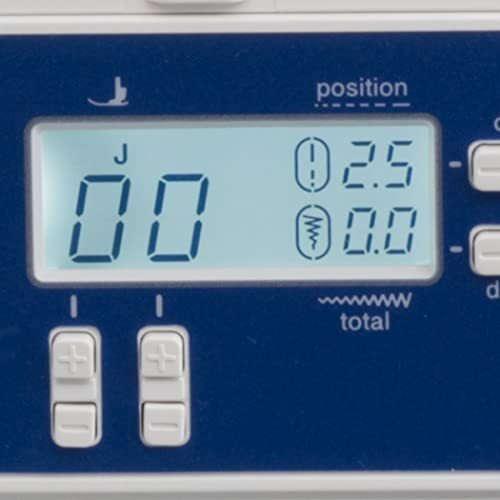 The Brother DZ2400 has a number of adjustable settings. These include adjustable speed, stitch length, and stitch width. The stitch speed can be adjusted with the speed lever on the front panel. This gives you complete control over your stitching experience. In addition, the machine has 184 built-in stitches. This amount of stitches is found in higher-end machines. You can easily choose from these choices and create your own unique looks. The stitch selection is made very easy with the backlit LCD screen. Other than that, the machine also proves to be very time-efficient. You don’t have to spend a load of time and energy and threading the needle. It has an automatic needle threader system that is only one push of a button away. Moreover, with this machine, put an end to the struggles with the bobbin pin system. The machine has an automatic bobbin system. It is also jam resistant, which means your sewing experience will be free from distractions and disturbances. Make consistent and fine stitches with the jam-resistant, efficient bobbin system. Looking for a machine that will create professional level stitches? Look no further with this Brother DZ2400 and its 8 built-in professional buttonhole styles! Customize and innovate different styles and ideas with the easy one-step buttonhole styles. The stitch quality will be designer level! And let’s not forget, the 185 stitches also include 55 monogramming stitches! This is especially good for you if you are a beginner learning monogramming. So, you get a great, wide-ranging start for your stitching experience. The worth and value of any product are not limited to its basic functionality and features. The extra features or accessories it brings along are also important. These can prove to be of significant use on a number of occasions. So what accessories or extra features does the Brother Designio DZ2400 come with? To begin with, the machine comes with 11 accessory feet. These feet perform different functions and can be used to create different looks. There is also an overcasting foot included. You can use this for overcasting stitches in order to make perfectly stitched edges of a fabric. Other feet include zigzag foot, zipper foot, and a blind stitch foot. These wide varieties of accessory feet will allow you to create some unique and professional level designs. Moreover, as mentioned earlier, the machine also comes with an extra-large table. You can work on larger projects easily with this machine. If you are a messy sewer who is always misplacing or losing their sewing material, worry no more! The machine comes with an extra accessory bag. You can use this to store delicate or sensitive items like needle sets and screwdrivers. A bilingual operational manual also comes with the machine. Use the machine to its full potential with the help of the guide. Singer is known for its quality products and manufacturing. In the market of sewing machines, Singer has launched some of the most famous and high-end products. The Singer Quantum Stylist 9960 is also one of the very famous products by Singer. Let’s compare this model with the Brother DZ2400. The Singer model has proven to be rather unbeatable in terms of the built-in stitches’ variety. The machine has a total 600 built-in stitches for you to choose from. However, the Brother model is not close enough to the mark set by the singer Quantum Stylist. Nevertheless, if we look at the machine’s other important features, we will not find much difference. Both the models have an extended workspace which makes both the machines suitable for larger projects. They also have similar stitching speed, that is 850 stitches per minute. Both the models allow you to control the stitch speed and other settings. The Singer sewing machine has a heavy-duty metal built while the brother model has lighter weight built. This makes the Singer sewing machine more robust, durable and better for professional use. The Brother DZ2400 also has more monogramming stitches compared to the Singer model. One-touch stitch selection, LCD screen, bobbin system, and automatic needle threader are all available in both the models. However, the singer sewing machine does not have a backlit LCD like the Brother DZ2400. To conclude, we can say that the Singer Quantum Stylist is a higher-end sewing machine. But it is not recommended for home use or beginners. Meanwhile, the Brother model is suitable for beginners and professional home-users. 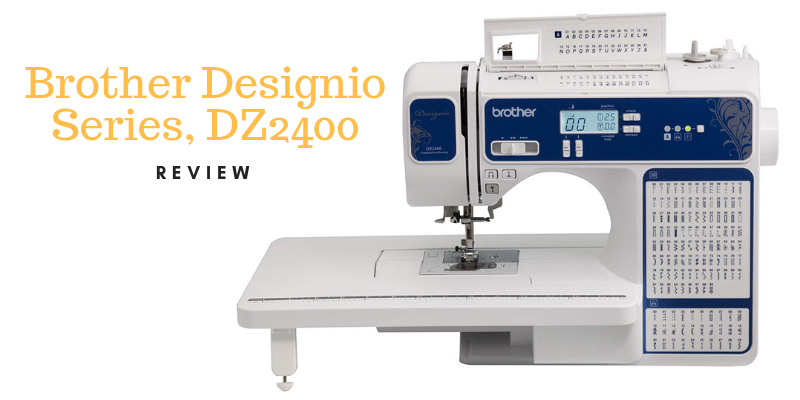 The Brother DZ2400 is also much more affordable than the Singer sewing machine. The Brother Designio DZ2400 comes with a limited warranty of 25-years. This is a generous warranty and makes the product a much safer option. You will get the details of the warranty and what it covers at the time of purchase. Suitable for quilting and sewing both. Perfect for home and beginners use. Attractive and unique, colorful appearance. You can use it to create professional level stitches and hems. Backlit LCD screen for easy view. Can be switched to manual mode. Comes with a bilingual operation manual. Its low weight makes it perfect for home use. Not recommended for professional or designer level use. No USB support like other few models of Brother. Other products in the market offer a greater variety of accessory items. Our top recommendation is the most trusted online seller, Amazon. Amazon is a well-known e-commerce site. You will be able to get the Brother Designio DZ2400 at the right price at the right time. The deliveries by Amazon are on time. And they also ensure that the product reaches you in its perfect condition. Moreover, the user feedback and reviews can be of great help to you. The feedback comes from direct users of the product. You can easily relate and understand their comments and use them to help you make final decisions. You can also hit other online stores. Moreover, given the popularity of Brother products, you are sure to find the sewing machine in local stores as well. We know that investing in a sewing machine needs a lot of thought and consideration. There are not just one or two factors that matter. Your overall sewing experience your budget and your preferences should all be taken into account. The Designio DZ2400 seems to be a reliable and good option. After all, it is a product from one of the most reliable and famous manufacturers.